The Hunger strike at Guantánamo has now been going on for more then 130 days. According to official figures, 103 of the detainees are now on hunger strike, and the number of detainees being forced fed remains at 30. Reporters were allowed into the camp on what was believed to be a well choreographed and scripted guided tour. The reporters were allowed to see the force feeding equipment and were told how the medical team used this equipment upon the detainees. According to the doctors and the nurses, no prisoners had complained about this brutal force feeding procedure. 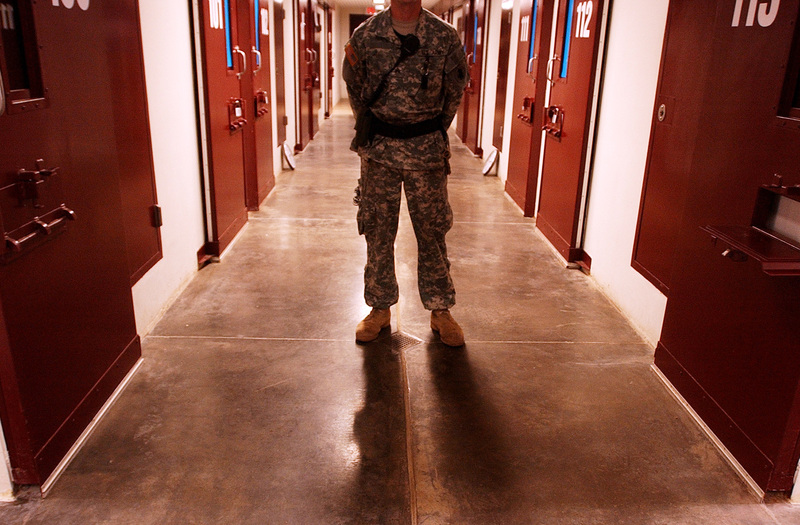 The guards at Guantánamo have been reported as being very patient with detainees. While certain detainees have been accused of throwing feces and urine at guards. This only re-reinforces the guards strategy of not negotiating with detainees, and instead subjecting them to procedures such as force feeding. Meanwhile, Al Jazeera obtained documents that explained the force feeding procedure which could last up to two hours. These documents described how time was a significant factor in ensuring the success of the force feeding procedure. The tour showed prisoners mouths being covered with a mask while a tube (at least 61cms long) would be snaked down their nose until an x-ray or test dose of water confirmed the tube to be in the stomach of a prisoner. After being force fed, a prisoner would be kept in a dry cell without any water to ensure they did not vomit for 45-60 minutes. If the detainee was to vomit, this force feeding procedure would have to be repeated. It was also reported that while this procedure was carried out detainees would be heavily drugged, hence their lack of complaints regarding the force feeding procedure. The identity of the detainees are being shared with the top officials at the Pentagon who apparently, do not care about violating medical ethics that force feeding concerns. The case of Saker Aamer, the last british resident in Guantanamo, has not only upset people close to him. The amnesty group at Lewes Priory School found the indefinite detention and torture of Shaker Aamer wrong and wanted to do something about it. They decided to start a petition at their school which almost all students signed. After the petition was signed they got the opportunity to visit the House of Parliament to speak with Foreign Office Minister Alistair Burt about the release of Shaker Aamer. 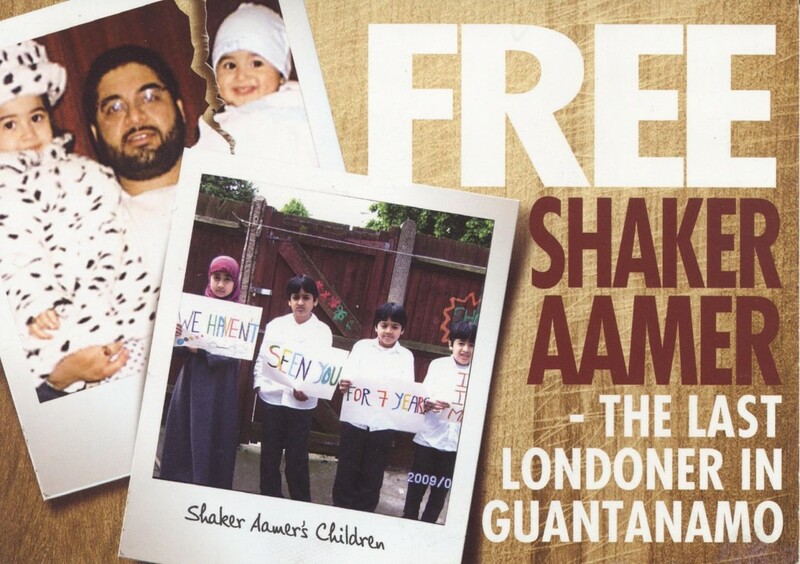 Is the UK really trying to bring Shaker Aamer home? The situation in Guantanamo is now getting worse. Prisoners claims that they are now being held in solitary confinement and are treated like dogs. They continue their hunger strike and 23 prisoners are being forced fed in a room where they are being strapped down in a chair while a tube is being forced down their nose. This despite the AMA’s, American Medical Association, criticism of force feeding, saying it is horrible and violates core ethical values of the medical profession. Four prisoners are so weak that they are being shackled in the hospital to prevent them from dying. Shaker Aamer, the last British resident in Guantanamo, fears that he might die in the prison. He hopes he does not, he hopes he will be released before that so he is able to hug his children. A wish that seems will not come true in the near future. According to the Pentagon, the UK is in no rush to get Shaker Aamer out of Guantanamo. This despite the Parliamentary debate about Shaker Aamer’s release and claims made by foreign secretary William Hague and defense secretary Philip Hammond that they are trying to lobby their counterparts in the US over Shaker Aamer. At the same time it seems that UK might not meet up with those “conditions” US have for releasing a prisoner to the country. These claims are being dismissed by Shaker Aamer’s UK lawyer Clive Stafford Smith who says that UK has the best record of taking care of released prisoners. It seems like there are a lot of excuses to not release Shaker Aamer to the UK, and it also seems like it is getting more and more urgent to get him out of the prison. The question is is it only the US who is the problem or does the UK government have an interest in ensuring a key witness to Government collusion in torture never gets freedom, justice and his day in court. Due to the growing hunger strike at Guantanamo President Obama has now been forced to react. In a recent press conference Obama admitted that the prison had to be closed. He also mentioned that he did not want the prisoners to die and that we had to reflect on why America is doing what they are doing. Meanwhile the decision to send more doctors and nurses to Guantanamo are now being criticized by AMA, American Medical Association, who claim that it “violates core ethical values of the medical profession”. But US officials seem to be more afraid of the bad publicity of a detainee dying than from torturing the prisoners by forced feeding. With all of this attention on the prison and a renewed promise from Obama to close Guantanamo, let us all hope that the prison will be closed sooner rather and later. If you are from the UK, keep on pressuring your MP’s to engage in debates regarding Shaker Aamer’s release. If you are from outside the UK, put pressure on your government to demand Obama close the prison forever and ensure that the prisoners get a new life. The US officials has now admitted that 100 of the detainees are hunger striking, 21 are being force fed and five of those are hospitalised. One of the prisoners who are being force fed admits that he has lost 30 pounds the last two month, and one of his fellow inmates are now weighing as low as 77 pounds. 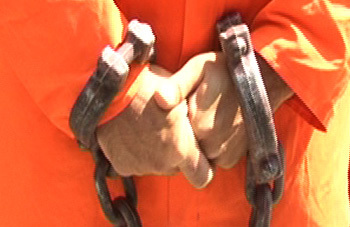 A medical team of 40 people have now been sent to Guantanamo as back-up due to the growing hunger strike. US authorities claims that the medical reinforcement has been planned for weeks, but many believe that they are sent because the health of the prisoners are getting worse. Losing this kind of weight is dangerous and since many of the detainees have bad health since before, this hunger strike might kill them. One of the inmates whose life is at risk is the last British resident in Guantanamo, Shaker Aamer. He has also said in a statement to his lawyers that even though he can not say names or number, people are dying in Guantanamo. Last week MP’s debated about Shaker Aamer’s release, and almost all of them could not understand why he had not been returned to his family. There was also raised a question about his health and if he would survive the hunger strike. Many of the MP’s also questioned the fact that Shaker has all of a sudden just been cleared for release only to Saudi Arabia, even though the documents about his release have other information. Caroline Lucas, MP, said that she believed the only reason why Shaker would be sent to Saudi Arabia is to prevent him speaking out about his abuse, an explanation that is shared with many others. The EU-parliament has also raised their concerns regarding the hunger strike and are now putting pressure on the US government, especially President Obama, to close down Guantanamo. They also say that they are willing to accept cleared prisoners in to EU member countries, but that the US have to keep their promise to still contribute with costs, not only for the move but also thereafter. Now that all this focus is on the prison once again, I can not help but wonder what is going to happen. And most of all, what are the countries going to do if US refuses to close down Guantanamo. Are we just going to forget about the prisoners or is someone actually going to do something and really force the US to close it down. Let us just hope that someone does something soon, because I believe that soon it will be too late. Shaker Aamers attorney, Clive Stafford-Smith, recently released a statement where he recounted his phone conversation with Shaker Aamer. Most of the prisoners in Guantanamo have been on a hunger strike since the 7th of February this year. One of those prisoners is Shaker Aamer, the last British resident in the prison. He has during the strike lost 32 lbs which is seriously affecting his already poor health. The hunger strike was allegedly started because the guards were searching through the prisoner’s Korans and disturbed the detainees during prayers. According to a top Pentagon official the searches will continue since it is alleged that the detainees might hide improvised weapons, food, medicine etc. in them. He fails to acknowledge that prisoners who are devoted Muslims thinks that hiding things in the Koran is an insult to the holy book, just like the searching through them. To read the statement please click here. Right before Easter, the White House said that they are closely monitoring the hunger strike at Guantanamo Bay. The US government have up until this point tried to ignore the existence of the strike but coincidentally enough, they now admit its existence the same week as the Red Cross, because of the hunger strike, is sending a delegation to check the conditions of the prison and the detainees. The number of prisoners on hunger strike are only 31 according to a Pentagon spokesman. a number not compatible with the 130 prisoners on hunger strike according to a Saudi prisoner. Through his lawyer Clive Stafford Smith, Shaker Aamer confirmed that, just in camp V, 66 prisoners are on hunger strike, and that more and more prisoners are joining the protest movement. Shaker also told his lawyer that he had, since the hunger strike started 6th February, lost 32 pounds. According to authorities 11 other detainees are force fed with tubes and three others have been hospitalised for severe dehydration. While admitting they are monitoring the hunger strike, the White House also said that Obama-administration still plans to close Guantanamo, something Obama has failed to mention in earlier speeches regarding keeping his promises. They did mention though that the closing will take time because of the legislation that Congress put in place. Why Congress is so against closing Guantanamo is unknown, but it is a good scapegoat. Another interesting question is, if Obama is so keen on closing Guantanamo and it is only the Congress who are holding him back, why did Obama decide to fund the building of a new prison at Guantanamo, and also the building of a new camp 7? Why put millions of dollars into something that hopefully will not be needed? Or is the plan not to close Guantanamo and keep coming up with bad excuses why they can not release the prisoners? Too many times have we heard about Obama’s promise to close down Guantanamo bay. Still nothing has happened. For too many years have hundreds of men been held in the prison, most of them for no reason at all. What is even more fascinating is that more money have been requested for a new prison at Guantanamo, some of the money is rumored to go to a new camp 7. Why build a new prison if you are going to close it down? Why still keep prisoners who are cleared for release in Guantanamo? For me it seems like the US government are just coming up with new excuses to avoid closing Guantanamo, avoid taking consequences for their actions at the prison and avoid letting the truth about the torture that the prisoners have subjected to to reach the public. The hunger strike is still going on at the prison. Guards have confiscated the prisoner’s Korans and other personal items. They have also been disrespectful during praying time.The only way the detainees can protest is by refusing to eat. Why is it so hard to respect people’s religion and how can the world just stand and watch these men being treated like they are worth nothing? 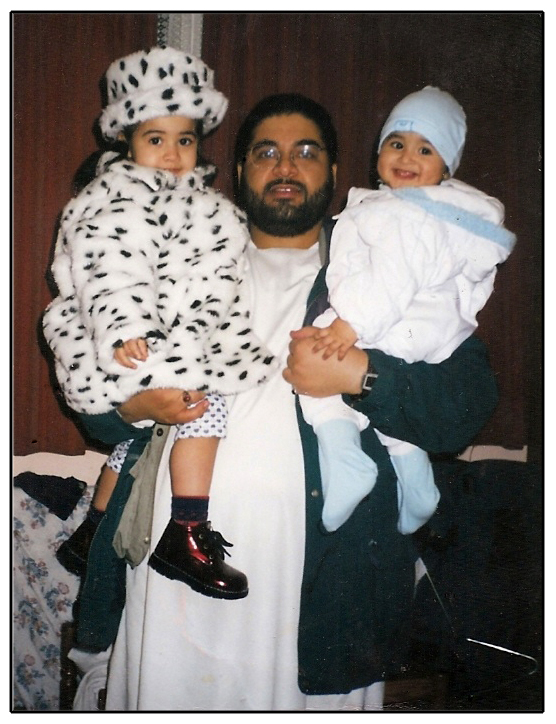 And other question that I hope we will get answered soon is, what is going to happen to Shaker Aamer? Will he ever be able to seet his family again or is he going to spend the rest of his life in a prison, even if he has been cleared for release twice?